The first 18 gauge glove on the market to achieve EN388: 2016 level E cut resistance. 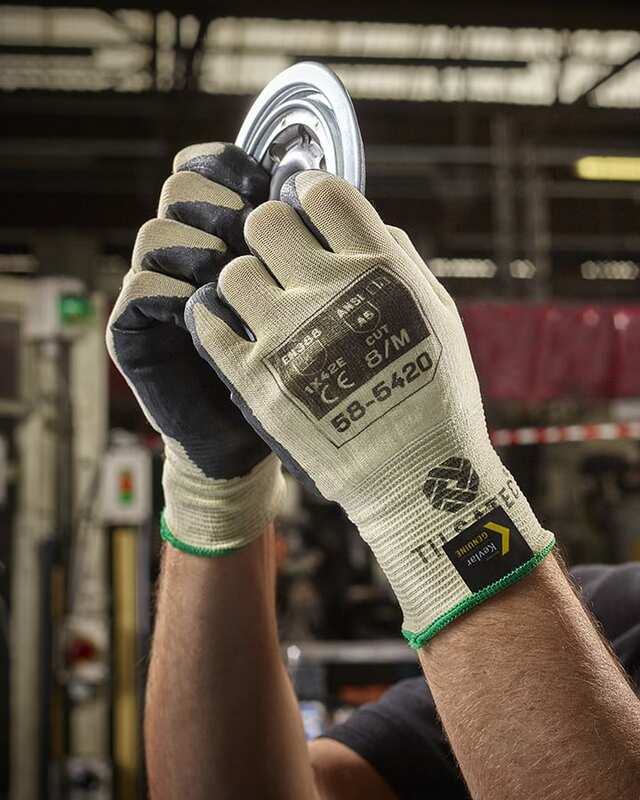 This is the next generation of hand protection from Tilsatec. Made with Dupont™ Kevlar® the 58-5420 is super lightweight, providing that much sought after second skin feel without compromising on protection or dexterity. The fine, soft liner is constructed to maximise comfort for long periods of wear.